I’m a big fan of online videos, and so is the rest of the world. Youtube is the second most used search engine in the world, and in a big way, responsible for the success of my Biology blog. 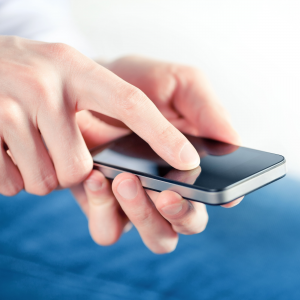 Within the past two years, the emphasis of video on Facebook has increased dramatically. As a blogger, videos are powerful tools for gaining exposure and getting your message out to the world. If you want to use online video effectively, however, you want to put your best foot forward. You want your videos to look AWESOME. In this post, I’m going to walk you through the steps of creating professional videos. My focus will be on videos created with cameras. If you’re interested in recording your screen (screencasts), then check out this post. Please note: Throughout this post, I will recommend specific types of equipment, but will not specify specific models. If you read this article (even just) a few months after I make the recommendations, technology will most likely have evolved. I will include links (for specific model) that can be changed as technology evolves and better recommendations surface. However, I do give specific models I'm currently using in the podcast episode above, plus a few extra tidbits. When it comes to cameras, technology has changed significantly over the last few years; keeping up can sometimes feel like an effort in futility. But, there’s a way to keep things simple and still produce professional videos. Let's start with some basic and easy-to-access options. Yes, that device that’s sitting in your pocket, or next to your keyboard, can likely shoot quality video. Based on my experience, the smartphone that features some of the best video quality has been the iPhones (although I am an Android fan, I have to give props where props are due). However, Android devices have come a long way and are starting to produce high-quality video. I won’t name any particular device here; there are many that do a pretty good job. Make sure to do your research and choose the one that suits your needs best. If you’re interested in using your smartphone to create high-quality online video, you should listen to my interview with Monique Johnson and Crystal Collins on how to use Mobile Video to grow your blogging business. For those of you on a budget, you can still get a pretty decent recording from your computer’s built-in webcam. Lighting, however, can be a concern; webcams are not traditionally the best quality video recording devices. If you want to step up your game using webcams, I recommend getting a high-quality USB HD Webcam. This is what I do for my webinars, and the video quality is great. The price isn’t bad either. When it comes to online video, DSLRs are my cameras of choice. Unfortunately, they can be bulky, but when it comes to video, they do an awesome job (especially if your settings are correct). What I love about DSLRs is that you’re able to have a shallow depth of field, which results in an image that focuses on the subject while allowing for a blurred background. The blurring effect gives your videos that extra look of professionalism. The key thing with DSLRs is that you want to make sure to get one that has a microphone input. To achieve that shallow depth of field look, you will need a decent lens. Unfortunately, lenses can be pricey. There is one exception – a fixed 50mm lens. These lenses don’t have a zoom but are the secret weapons for many videographers because of the quality image that can be achieved at a relatively low cost. 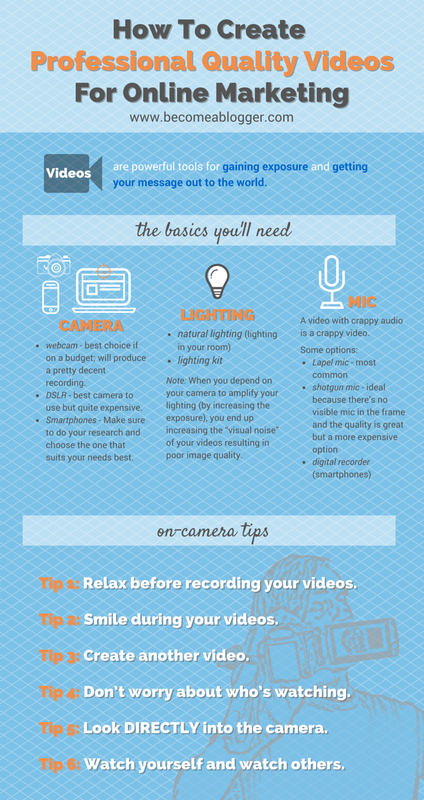 While your camera plays a big role in the quality of your video, your lighting plays an even bigger role. If you take video in a dark room, it wouldn’t matter if you’re using a $10,000 camera, the quality will still be bad. On many occasions, you can take advantage of natural lighting or the lighting in your room to produce videos of decent quality, but if you want to step things up a notch, you will want a lighting kit. Even in my decently lit office, I depend on a lighting kit because it takes the image quality to the next level. When you depend on your camera to amplify your lighting (by increasing the exposure), you end up increasing the “visual noise” of your videos; resulting in poor image quality. Take that load off the camera and let your lighting do the heavy lifting. You’ll find yourself pleased with the final product. Here’s a fact. You can create an awesome video, with all kinds of cool illustrations, and clever editing, but if you combine your effort with crappy audio, then all you have is a crappy video. On the other hand, I’ve seen many sucky videos (in terms of visual quality) with decent audio that people absolutely love. 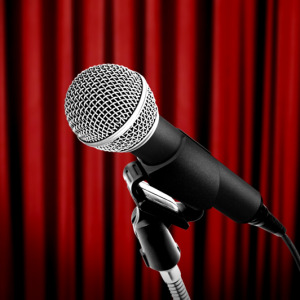 Fortunately, you have some options that center around one important principle – if you want good audio, get your microphone close to the sound source. This is the reason radio DJ’s, whose businesses are built around audio, sit with their mouths within inches from their microphones. This also means that you NEVER EVER want to use the camera’s built-in microphone. Not only is it far away from the sound source, but it tends to pick up the sound of the camera itself. Option 1: A lapel microphone. This is one of the most common options we see for online videos. With a lapel mic, you clip the microphone onto your shirt collar or another type of clothing close to your face. The beauty of this type of microphone is that you are free to move around (unless you’re using a wired one) without altering the quality of your sound. If you are using a smartphone for your videos, you want to make sure to get a lapel mic that will work with your smartphone. 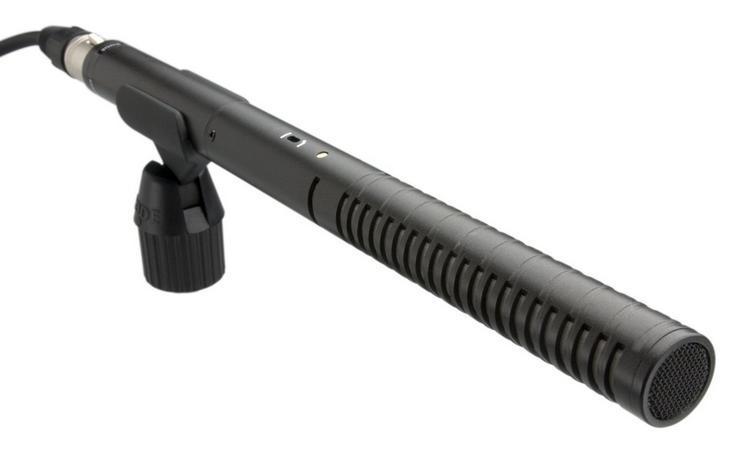 Option 2: A shotgun microphone. This type of microphone is usually placed on a stand above and slightly in front of a person, with the microphone pointing at that person’s mouth. This setup is ideal because there’s no visible mic in the frame and the quality is great. Unfortunately, this option is usually on the more expensive end of the spectrum. Alternatively, you can go with a compact shotgun microphone that sits on top of your camera and does a pretty good job when it comes to audio quality. Important note: If you’re using a microphone that plugs into a camera, you want to make sure your camera has a microphone input jack. Option 3: A digital recorder. These are actually very neat devices that can be used for video, interviews, and a bunch of other audio-related activities. For example, I use my digital recorder to record my podcast episodes. Here’s the cool thing, most of us have digital recorders already. They’re called smartphones and are a great option for recording high-quality audio without additional spending. Here’s an example of a video where Crystal, Monique and I recorded audio on an iPhone. We’ve covered the equipment you’ll need creating awesome videos, but we’re missing an important element – YOU! People often struggle with appearing natural on camera. So here are some tips that can help you make a good impression. Tip 1: Relax Before Recording Your Videos. The last thing you want to do is appear uptight on camera. Listen to that song that calms you down, hang out with your family, or just do something relaxing. Then, get to it. Tip 2: Smile during your videos. This makes a HUGE difference. Having a pleasant, smiling, disposition will make people enjoy your videos that much more. Tip 3: Create another video. Practice makes perfect. Keep recording more videos and you’ll improve over time. Tip 4: Don’t worry about who’s watching. When you’re recording your video, nobody’s in the room with you (unless someone’s actually recording for you). Don’t think about the people who may or may not watch the video online. Just focus on what you’re doing. Tip 5: Look DIRECTLY into the camera. Avoid looking unprofessional by paying attention to this element of your video. Looking into the camera (specifically the lens), helps your audience create a connection with you (and as a result, with your content). Tip 6: Watch yourself and watch others. When I watch myself on video, I often walk away with ideas for improvement. This was how I learned of my tendency to look away from the camera; so I’ve worked on fixing that. Also, when I look at other people’s videos I pick up great “do’s and dont's”. 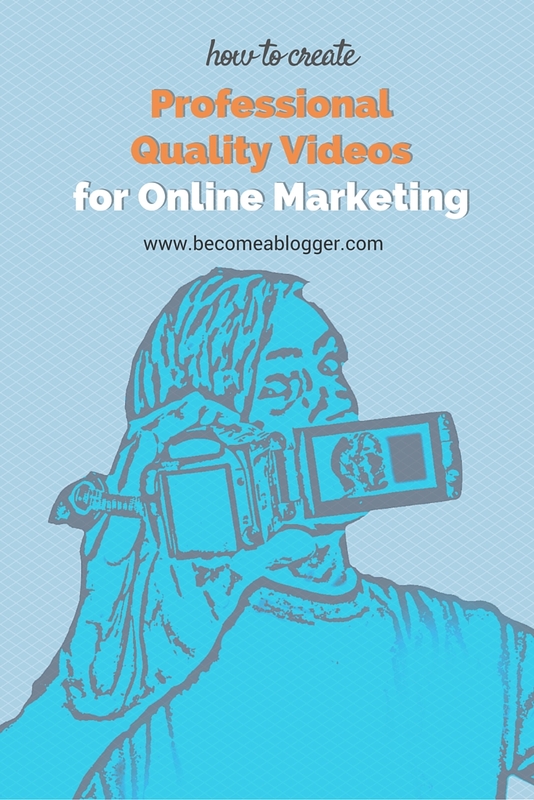 Are you making online videos? If so, share a link to one of your videos in the comments below. Is there a tip that I didn’t mention that can help us all make better videos? Leave that in the comments too. I’ll see you down there. Some great tips here–thank you. I had that same problem when I first started out, with not looking at the camera consistently. My dear hubby was kind enough to point that out to me. 🙂 I realized that I was closing my eyes to think, lol. And not pausing long enough if I had to take a look at my notes. My big thing I’ve been trying to figure out more recently is audio, though. I am interested to hear exactly how you set it up for the example video you shared here. It sounds very clear. Would you mind explaining the specifics (or did you mean there was nothing special, just a phone)? The video I posted here is one that I actually didn’t record. They used an iPhone and simply recorded the audio directly into the phone. Then they added the audio to the video in their video editing software. For me, I use this lapel mic – https://www.becomeablogger.com/lapelmicplus. That plugs into my camera and makes it easy so that the audio goes directly into the video. Thank you for responding. That’s awesome that the audio came across so great that way. Just curious about the link, then… does that mean you got my first comment, too, as a (near) double? Hmm, that’s strange. I didn’t get a comment with a link from you. I even checked in the spam comments and didn’t see it there. I wonder if that was a momentary glitch. Cool. Keep making them. Practice makes perfect. Your post is all about videos which contain humans. And the video above re men and women being friends certainly is one that requires live humans for the fun interaction. But what about a sales video? Most of the sales videos I’ve seen are graphic and text with a voice over in the background. Do you think your videos would have been as successful if they’d been done with just graphics/text and a voice over. I’m sure you had a post sometime back on using graphics in videos. Would you like to comment, or write a future post, on the use of live human videos versus graphic/text and voice over – when to use each, how successful they each are, etc. Actually, most of my biology videos are screencasts and that works VERY well for my audience. So yes, it can be very effective. I do have an article on how to make awesome screen casts. You can find it here. I think either can work, as long as you do them well. It seems like I’ve been talking about doing video for so long but I can’t take that first step. I’ve looked into using my phone for mobile video, but I think that I’m going to use a green screen behind me and can’t find an Android app that allows me to use a green screen in editing. When I’ve tried to set up my lighting and tested it out, I see what looks like waves of light. Almost like what it looks like when a camera focuses on a computer screen. Do you have any input as to why this is happening or what I might be doing wrong to create this problem. You won’t be able to do green screen video with a phone camera. You need a much higher quality camera to be able to do that and you will need much more processing power than you will get on any phone. My recommendation – don’t do green screen. Takes a lot of work and they aren’t usually worth the effort. If you’re having problems taking the first step, I would stay away from the green screen. We used a video for our site with an animated cartoon face talking and it brought us a great deal of traffic. thanks for all the great advice. Cool. Glad it worked for you. This article was absolutely brilliant & exactly what I needed! Well done & thank you! I’ve been making YouTube videos for a while now, but on a budget. This will definitely help me improve my videos! Hey Leslie! Great podcast. I’m always trying to improve my videos. 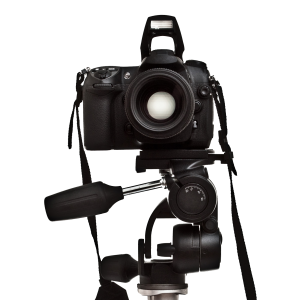 Position a mirror DIRECTLY behind your camera so that when you look at yourself, you’re essentially looking at the lens. You have to make sure it’s right on so you’re not looking elsewhere, but I’ve found it to help with the “talking to an object” syndrome we often have when making video. Most of us have had plenty of conversations with ourselves in the front of the mirror (or is it just me?? ), so just act like you’re talking to yourself and hit record. Just found this – great summary and some tips I didn’t know. Best change I made was to have 2 lights, one at 45 degrees for back wall, one on me. Thanks Leslie! Very resourceful! Video is huge, I have to admit, but I’m staying away for two reasons. 1. I’m not English-educated, and don’t speak good enough English (afraid that people may not be able to understand my accent); 2. I’m one of those socially awkward people… I’m quite techy, so have no problem setting things up, though. Any advice for this type of people? Maybe I should seek help elsewhere, haha! Thanks for all the information Leslie! And the jokes too. Online marketing through videos are very good way to make your videos popular among your targeted audiences, but the point is whether your recorded video is getting enough views or not. Is there any way to achieve that goal? I earn my living doing videos for three years now (helping french people to learn the drums). And still, I learned a lot from this episode. Great advice on the importance of sound and light ! 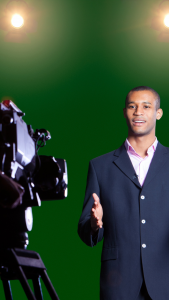 You don’t necessarily have to record video from start to end without stopping. Intead, Make one or two sentences, breathe, relax. Then another sentence or two. And cut the blanks afterwards in postproduction. People usually don’t notice the cuts. And sometime, it even add dynamic to your video. If you do that, it removes a lot of pressure on you. Did you make a mistake during a sentence ? No problem : record again just that sentence. No pressure. And in the end with experience, it becomes easier to record long period of time without taking breaks. I always wonder how you manage to be so smooth in your podcasts. Everytime you misspel a word you manage to joke on it. So human. Love it. You are so right about just relaxing and not trying to give an entire presentation at once. Once I realized this, making videos got a lot easier. Can I use my iPhone for both video and audio?If no,then can I use the iPhone plus a lapel mic for audio? Great episode Leslie. Can you please tell us how to create infographics like the example you show? What software? I’m new to this stuff. I always use my smartphone (Samsung Galaxy S6 with 16mpx camera) and some special programms, but i want to buy a professional camera, and make real and quality video. Or my smartphone will be suitable for these purposes?